Here’s a breakdown of these allergens, along with some fun swaps we often make! “Gluten-free” is just one health claim that has become somewhat of a buzzword over the past few years. Wheat is one of the most common food allergies, along with milk, eggs, fish, shellfish, tree nuts, peanuts, and soy. As part of Zesty’s office catering services, we are able to provide tasty substitutions to these top eight allergens, which account for about 90 percent of all allergic reactions. Here’s a breakdown of these allergens, along with some fun swaps we often make! Rice and quinoa are common substitutions we make for side starch recipes or dishes containing wheat, but we also like to get a bit more creative by utilizing vegetables such as sweet potato and in order to accommodate our gluten intolerant clients. You’d be surprised how many non-grain products also contain wheat! Soy sauce, meatballs bound with breadcrumbs, and sauces made with a roux are just a few examples. In these cases, we work with our chefs to replace these items with things such as tamari (gluten-free soy sauce), gluten-free oats in meatballs, or gluten-free flours in a roux for a sauce. Ingredients containing dairy, such as cheese, are a common food substitution that we make for our office meals. 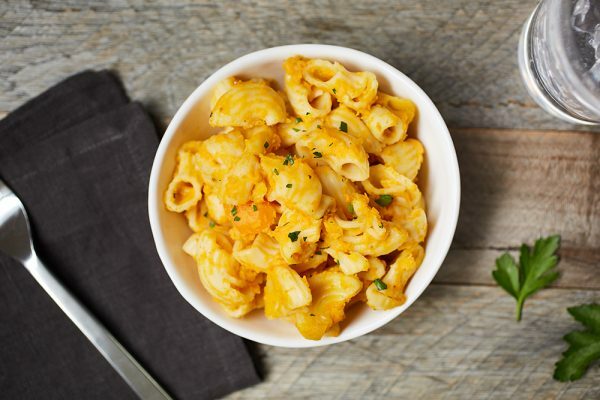 We often work with restaurant partners to make dairy free versions of dishes such as mac and cheese, dressings, sandwiches, and even pizza, as well as serving cheese on the side of dishes such as salads. A good dairy free alternative for cow’s milk is coconut milk, and good alternatives to cheese (or a cheesy flavor) are avocado, nutritional yeast, or cashew cream. Eggs are used as a binder in many dishes, especially baked goods. Substituting eggs with flax seed is a great way to add more nutrition to your pastry without sacrificing texture and taste. Flax seeds are a great source of fiber, calcium and heart healthy fats. Other substitutions in baked goods include fruit purees, such as applesauce, mashed banana, or pumpkin. Replacing soy can be especially tricky for our vegetarian and vegan clients. We do our best to create exciting vegetarian entrees using protein packed foods such as beans, quinoa, lentils and seitan. Certain sauces, such as Worchestire sauce, contain fish. We diligently source a variety of high quality, allergen-friendly brands in order to comply with our health standards and cater to our clients with fish and shellfish allergies. We work with our restaurant partners to ensure that peanuts and tree nuts come served on the side of a dish, such as salads, whenever possible. The best alternatives for both peanuts and tree nuts are seeds, such as sunflower, pumpkin, chia, and flaxseeds. It doesn’t hurt that these swaps also contain protein and healthy fats, such as omega-3s! Thankfully, there are many alternatives currently on the market that make it easier than ever for those with food allergies to find safe food to eat. 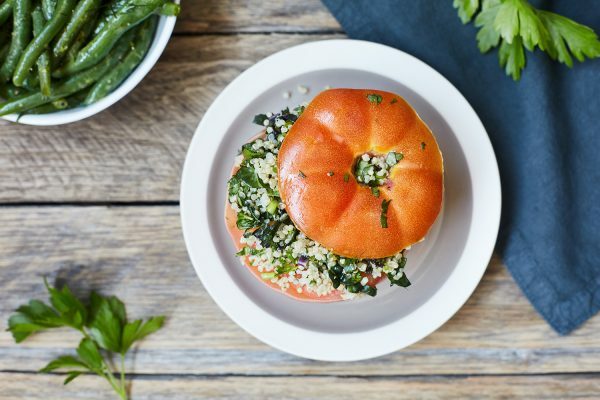 Similarly, restaurants and caterers are becoming more knowledgeable about common food allergies and are getting creative in the kitchen by developing dishes that are just as tasty (if not more!) than the original versions.